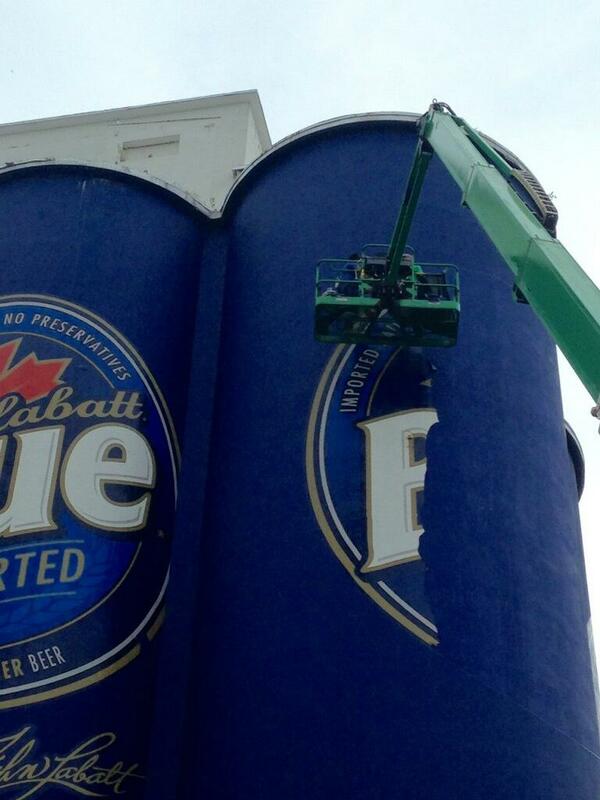 The change will represent the new look of Labatt Blue and Blue Light cans, rolled out earlier this year. 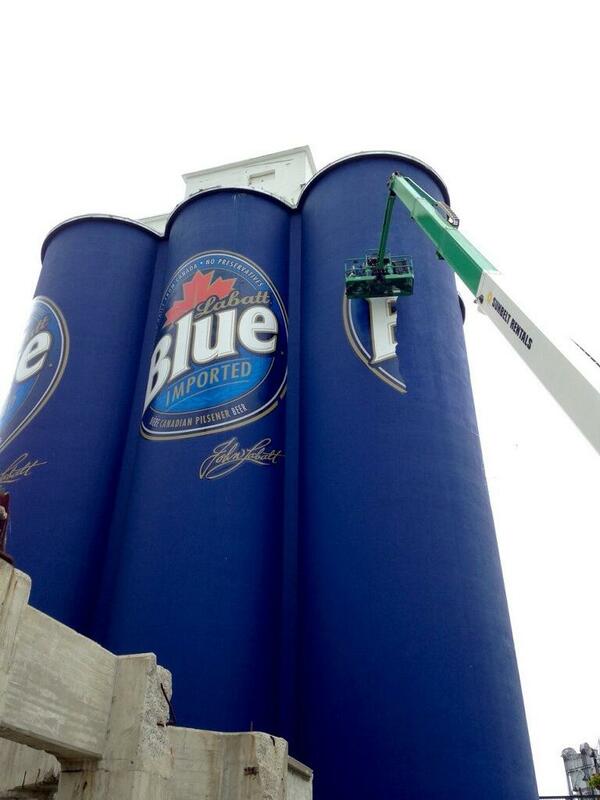 Labatt Associate Brand Manager Adam Cole said Buffalo and the silos are important to the company. The decorated 10-story silos were initially installed in 2014. 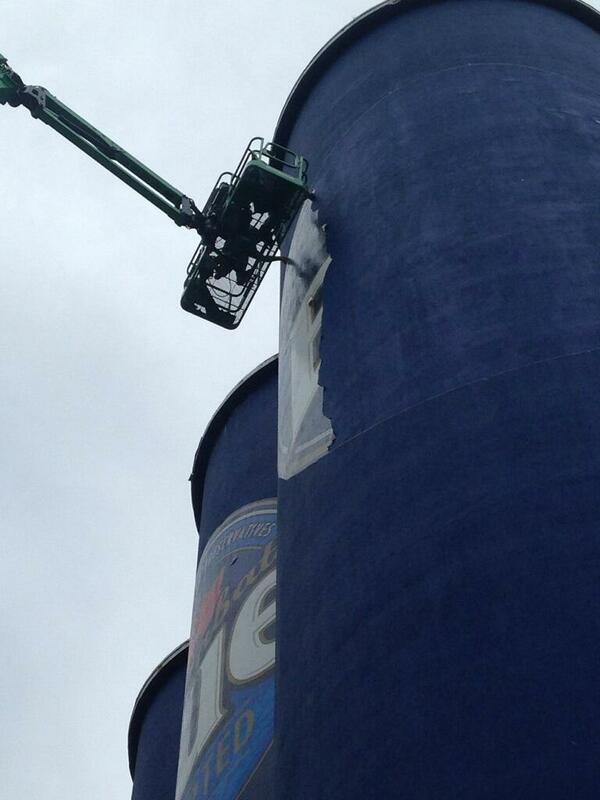 Removal of the old graphics began Monday and installation of the new packaging is expected to be finished by July 1. The entire process is environmentally friendly and chemical-free. 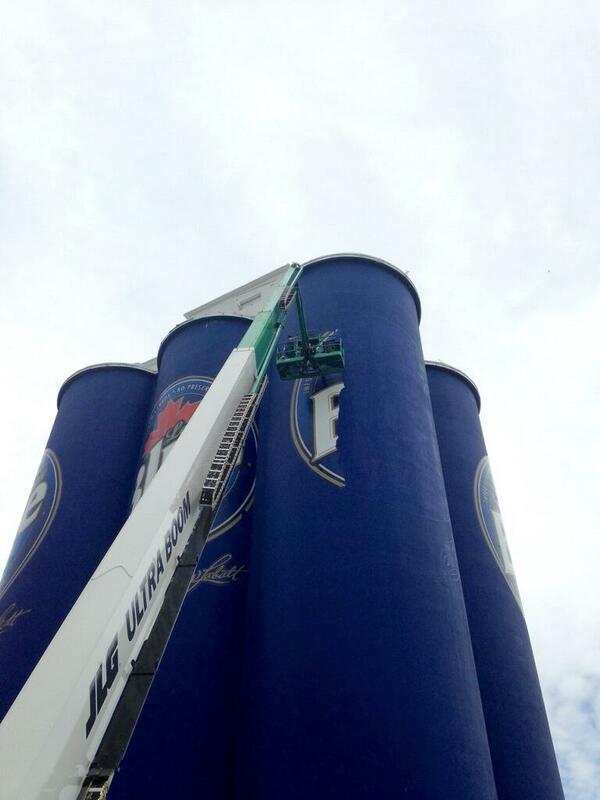 Once the removal is complete, the silos will sit and cure in the sunlight for one week before installation of the new graphics begins. The new look is expected to reflect a great outdoors theme. The great outdoors has been a marketing theme for Labatt Blue and Blue Light beer since its inception and one implemented into its newly redesigned cans, found on store shelves across Western New York. “The silos are an exciting part of Buffalo’s waterfront. And we’re really excited to be launching our new graphics, which initiated earlier this year, and we really want to be showcasing those on our ten-story silos on Buffalo’s riverfront,” Cole said.